Gary pool will take your business to the next level. Can you hear the music? This following story was recently shared by Wilford W. Andersen at a church conference and thought it was a powerful metaphor for so many of us living our lives but not hearing the music. 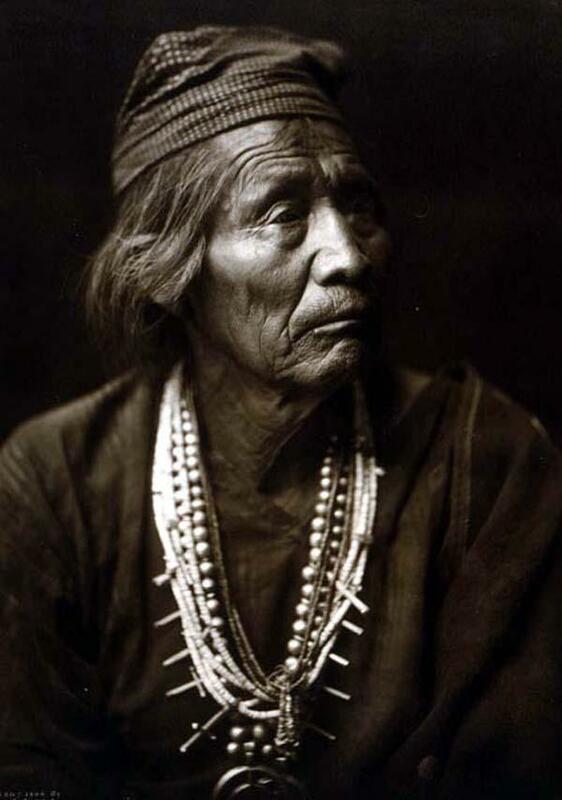 The old man then looked at him and said, “Do you dance?” As the young doctor pondered the strange question, it occurred to him that perhaps his patient was a tribal medicine man who, according to ancient tribal customs, sought to heal the sick through song and dance rather than through prescribing medication. After contemplating this story and the old man’s insightful response it occurred to me that many people know how to dance but are not hearing the music. Have you ever pulled up next to someone in the adjoining car who is rocking out and dancing but you can’t hear the music so it looks awkward and foolish to everyone but the individual who is dancing to the music. I spent 35 years in a profession that I learned the dance but never heard the music. I believe a lot of people, in fact most people like me, work in professions in which they learned and some even do well i.e. learned the dance. For example, I achieved VP and Plant Manager of a fortune five hundred company which most would consider very successful. Too many people, like me, are in careers that their parents choose, society holds prestigious, and/or one they stumbled onto or just found to be convenient. Unfortunately, like me, most them can not hear the music. What is the music? It is melody in our heart. It is our passion and love. However only we can hear the music of our heart and it yearns for us to both hear and dance to our own music. Our music is the God-given talents and strengths that we have been given. I found two really simple but powerful proven ways to gain some insight into your talents and character strengths. The first is by found in the book “Strengths Finder 2.0” by Tom Roth. The book contains an on-line assessment which upon completion will give you your top five talents which when utilized on a daily basis becomes your strengths. Having this knowledge then allows to do what you do best every day which energizes and fulfills your life’s purpose. The really cool thing is you don’t have to read the book before taking the assessment. In fact, I recommend taking the assessment then reading about your top five talents/strengths. There are thirty-five talents/strengths however the top five are the best indications of what energizes you and allows you the hear the music. The second is a character strengths survey which is free. Character strengths are the personality characteristics that make you authentic, unique and feel engaged. Go to http://www.viasurvey.org and the insightful results will tell you the character strengths in which you are most comfortable in utilizing on a daily basis. If you are interested in self-discovery and putting yourself on a path of being able to hear the music then take the time to do both. You are worth the investment and for such a small price in regards to money and time you can begin to dance to your hearts music. Taking the “Strengths Finder” assessment put me on a path that changed my life. I have since taken the character strengths assessment and it gave me even more insight into my personality and how I could benefit even further by using my character strengths on a daily basis. The two compliment each other wonderfully. As I was, and unfortunately most people still are, in professions that does not align with the music in their hearts. Thus they are dancing and if not outwardly, at a minimum inwardly, they feel awkward and foolish because they are essentially dancing without hearing the music. I know because I did not hear the music until I walked away from a six figure position and followed my passion. We cannot help but be awkward and somewhat foolish in our dance until we hear the music. However you might not need to change professions but until you are in a working environment which allows you to utilize your strengths/talents on a daily basis then you will never really hear the music. The music is found in your passion. Then and only then will our dance and our music by in sync. The irony is when we are following our passion utilizing our strengths we will not only dance but we will always hear the music which is beautiful to all that have the opportunity to see and hear it. Gather the courage to be able to hear the music and both you and the world will benefit from and celebrate your dance. Though it took some time for me to have the courage to walk a way from what the “world” considers successful I am now hearing the music and my life’s dance could not be better or more fulfilling. Black vs. White? or Just a Life Lesson? The game was soon out of reach for the visiting team. They were losing by more than 30 points early into the second quarter. The relatively new referee working hard to stay focused on the lack luster game called a foul late in the second quarter as the shooter went up for a shot. It was not so obvious to the untrained eye but there was really no foul. Having scored only 4 points, the referee wanted to give the losing team a break by allowing them a chance to score from the free throw line. The coach at the other end of the court immediately called the referee over to dispute the call. I know what you’re thinking – the coach ahead was so competitive he didn’t want the other team to get away with anything. That might be the expected scenario but today was the exception (at least from the ref’s perspective). It was not the coach of the team ahead by 30 points but rather the coach of the losing team that pulled the referee over to discuss the call. Now the referee could have defended his call and denied taking such action. But he knew the coach had caught him. He also realized the lesson the coach was trying to teach his kids and quite unexpectedly teaching him so he just respond “OK Coach, It won’t happen again.” The referee walked away realizing there is more going on in this basketball game than just basketball. 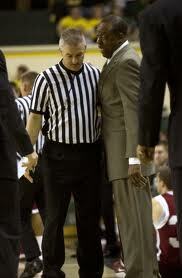 Incidentally, the coach was an African-American (Black) and the referee was Caucasian (White). This was a great reminder that not all Blacks play the victim and not all Whites are prejudice. Most of the time life is about learning lessons from each other if we care enough to listen. Have you ever wondered how we get our selves out of the messes we find our selves in both our personnel lives and worldly circumstances? We look for that dynamic leader or sliver bullet (quick seemingly simple answer) that will save the day. However it has been my experience that seldom if ever happens. I am convinced that there is a way to begin finding the answers we are looking for. It begins knowing the difference between having a dialogue and having a discussion. In a discussion everyone is waiting to be heard and thinking only about what they have to say. Dialogue on the other hand, is when we are genuinely interested in the other person’s perspective. We actually suspend our paradigm and begin to entertain the other persons thoughts and ideas. If I ask you if you can improve your IQ many of you would answer yes. Unfortunately we cannot individually increase our IQ, we can only maintain it. The only time we can improve our IQ is when we are in a dialogue with other people. Studies have shown that when a group of people are involved in a dialogue the IQ of the group becomes greater than anyone individual in the group. The simple answer to some of our personal, work and worldly issues is to learn to have a dialogue with your family, co-workers, and/or world leaders coming together to listen versus only to be heard.